Inside Disney World's Secret "Tunnels"
There’s never a dull moment at the Magic Kingdom. Parades, food vendors, shows, rides, characters, barbershop quartets, shopping—and that’s just the tip of the iceberg. But what you may not realize is that there’s almost as much hustle and bustle happening right beneath your feet. Legend has it that Walt Disney was once strolling around Disneyland in Anaheim when he saw a cast member in a Frontierland cowboy costume wandering through Tomorrowland. 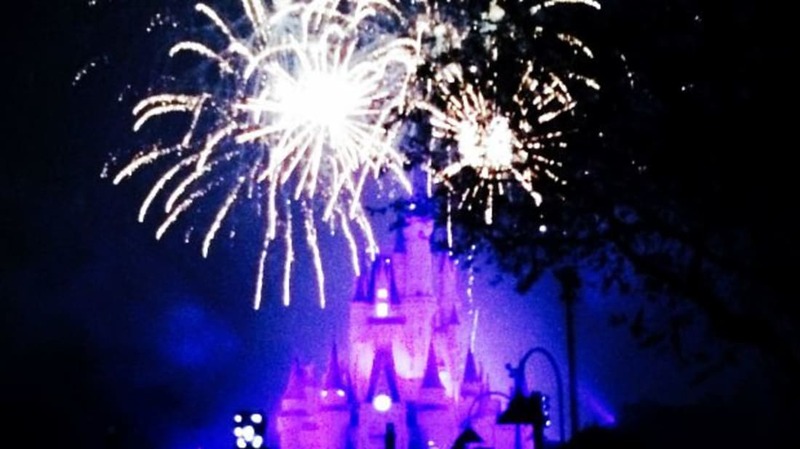 He felt the incongruity was disruptive to the “magic” people were meant to experience at the park, and decided to do something about it at his next park. 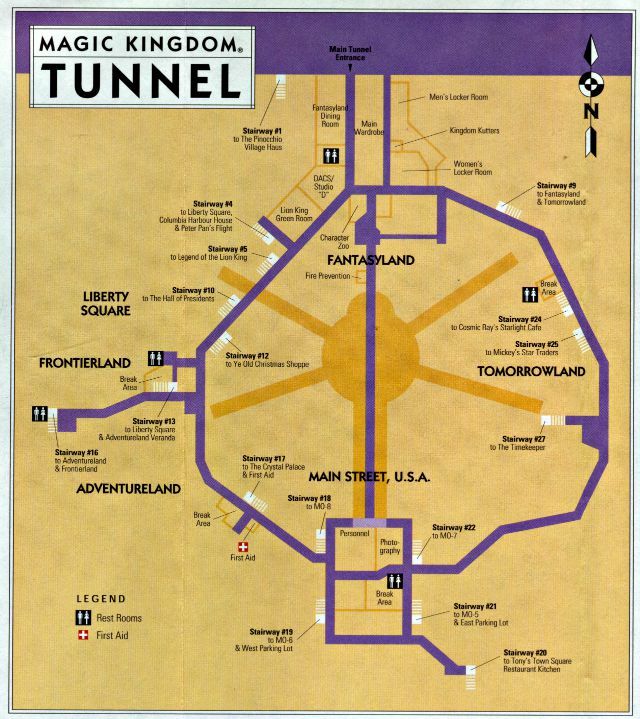 When construction began on the Magic Kingdom in Orlando, the first layer of the park that was built was 392,040 square feet of “underground” tunnels, known as utilidors. Fun fact: They’re not actually underground. The “basement” level of the park is actually at ground level, and the part of the park visitors experience is the second floor. Cast members access the utilidors via staircases positioned at key areas in the park.